Welcome to a new age in natural healthcare. As people become more and more aware of the issues surrounding conventional medications, they're demanding natural, safe and effective treatments. They're demanding something better. At Medicopia™, we've met that challenge by ushering in a whole new age in healthcare - one where medical science is powered by nature. The idea is simple. We've always known that nature holds within it a wealth of answers. And in the same way that we increasingly look to nature for our next energy or fuel solution, we at Medicopia are looking to nature for our healthcare solutions. So while we all believe in creating a better world, our mission is to create better healthcare for those living in it. 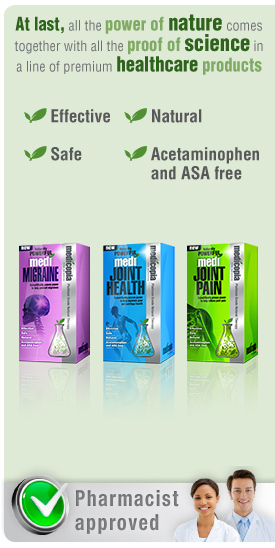 Medicopia brings together the power of nature and the ingenuity of medical science in a line of premium healthcare products that is all the things you've been looking for: natural, safe and effective. Because we believe in bringing you the best, so you can be your best. Unlike conventional medications, Medicopia Platinum Grade Natural Therapies™ are made from only the finest, all-natural ingredients -- so they have none of the side effects of conventional medications. And because all of our products are born from intensive scientific research, you can rest assured that they have been proven to work, time and time again.